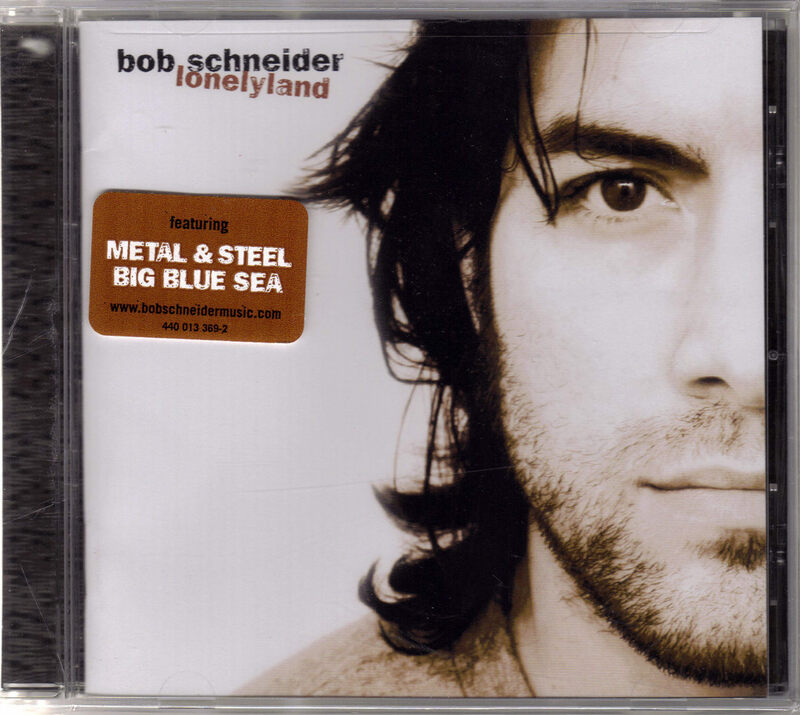 This is the 2001 release by Universal Records of BOB SCHNEIDER: LONELYLAND featuring Metal Steel Big blue Sea. Bob Schneider is an Austin, Texas-based musician and artist. The Album: 1. Metal and Steel 2. Big Blue Sea 3. Jingy 4. Bullets 5. World Exploded Into Love, The 6. Round and Round 7. Moon Song 8. Madeline 9. Tokyo 10. Under My Skin 11. Blue Skies For Everyone 12. Better 13. 2002 14. Oklahoma Brand new. Original Packaging. Send email if you need additional details. Buyer is responsible for 2.50 shipping to anywhere in the USA Canada. Send email for international shipping rates. Do check the store for other Music CD Titles. Thanks for stopping by!